I read a lot recently while waiting to be transit to another world. I finished Alienist, covered The Kite Runner in two weeks. Not enough. 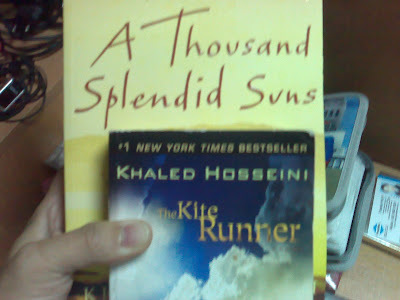 I got myself A Thousand Splendid Suns. I tried to find this bestseller here. No luck. Singapore Chinese culture is like withering flower.